Easy Sesame Cauliflower. 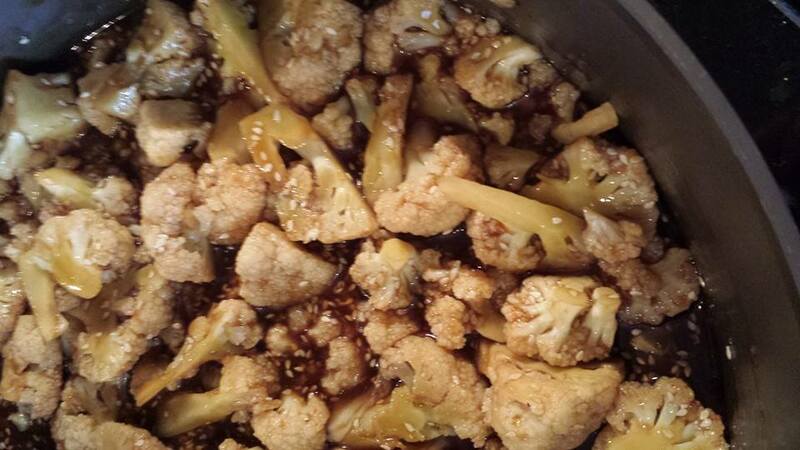 My husband Marcus has been wanting to do a Sesame Cauliflower recipe for a while now. Well he finally did and I am here to share this Sesame Cauliflower recipe with you! Think sesame chicken minus the chicken. This stuff was really good! I could see this sesame cauliflower sauce being used on all kinds of things. Like in a stir fry or as a veggie dip. Or even a marinade. I love recipes with multiple uses. Don’t you? Kind of like my Thai Peanut Sauce. You can add all kinds of veggies into this recipe. I could see snow peas, broccoli and red bell peppers being great additions. Also mushrooms. You can make the sauce and saute right away, or you can let the cauliflower and other veggies marinate for an hour or two. I will definitely try the marinade next time! A quick and easy weeknight meal! Add your favorite veggies and serve over rice or quinoa! In a small saucepan , add the tamari, veggie broth, toasted sesame oil, mirin, garlic, rice wine vinegar, ginger, arrowroot and coconut sugar. Bring up to a low medium heat stirring constantly until sugar and arrowroot thicken the sauce and turns it dark. Remove from heat immediately after. In a large saute pan , stir fry the sauce and the cauliflower for about 5 minutes. Remove from heat and garnish with sesame seeds and green onion. This sounds like an awesome way to spruce up some cauliflower, which is one of my favourite vegetables! This looks delicious! I don't have any arrowroot, do you think I could use tapioca starch or cornstarch for a thickener instead? Thanks! 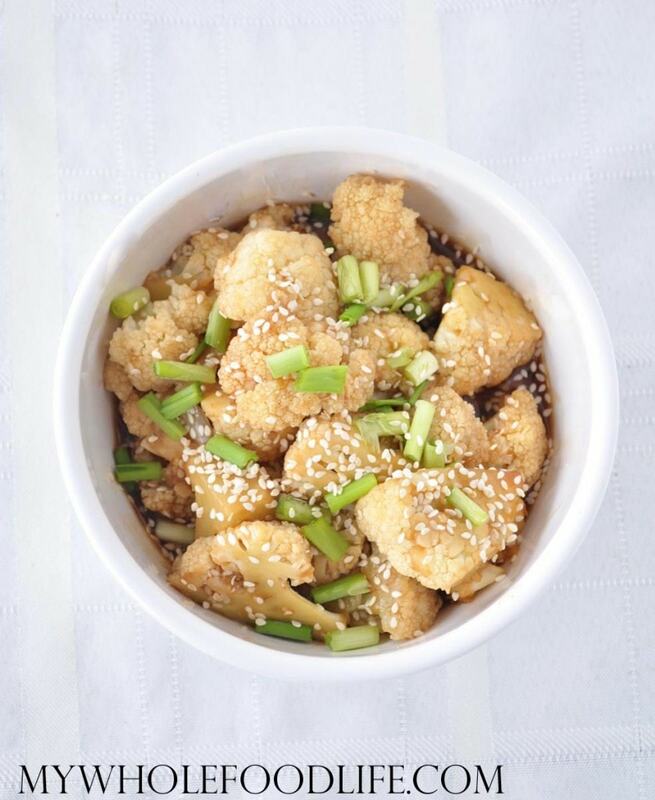 I don't think I ever had sesame chicken- but I will definitely be having sesame cauliflower! It looks fantastic- thanks for such a great recipe! This looks so good! It is on my list too. So glad I am catching up on all my blog reading - I needed some new inspiration. (been vegan now for 63 days!) Have you seen those cauliflower wings everyone was eating around the superbowl? I am looking for a good recipe to try those. I have seen those, but I haven't tried a recipe for them yet. Wow I am totally making this for dinner soon. I am so glad that I stumbled upon your instagram today! Aw, thanks!! I hope you enjoy!